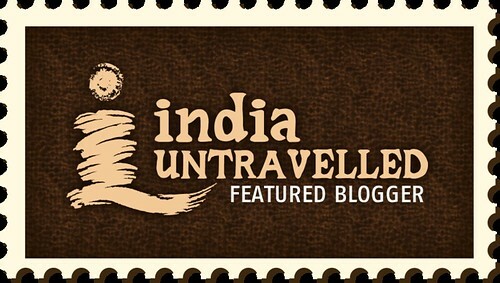 Road Less Travelled: Jammu- City of Temples! Situated on the banks of river Tawi, with the Pir Panjal range in the background, Jammu is the perfect gateway to the mesmerizing snow capped mountains from Punjab. It is the winter capital of the State Jammu & Kashmir. Though the Kashmir situation was still tense (June 2016,) the highway to Jammu seemed very peaceful. After reaching Jammu, we were shocked and pleasantly surprised to see life here in Jammu was very peaceful and calm. The city was functioning like any other city with all businesses open and running and we even got our bike serviced. We could see people enjoy their day to day life, shopping in malls, movies being screened in theaters and not once did it feel like there was unrest in the state. It was very hard for us to believe that less than 300 km away there was total chaos. To understand how the situation in the valley was we spoke to locals and truck drivers and they all had just one phrase "Uppar Mamla Kharab Hai, Mat Jao"/ "Things are bad up there, don't go." The only thing Jammu had in common with Kashmir valley was that mobile and internet services were suspended. With Jammu and Kashmir being a volatile state, we expected a lot of military presence but much to our surprise Jammu had very less security presence. In fact, we have seen more Army men patrolling the streets of North East India. Happy and glad that Jammu was calm and peaceful, we started our Jammu darshan with Peer Kho Temple or Peer Gufa. This age old Shiva Temple with a series of caves is considered to be one of the most sacred Hindu pilgrim site, justifying the tag- "Jammu- city of temples." It is widely believed that the cave has a naturally formed Shiva Lingam and this temple also finds a place in the epic Ramayana where Jamvant (the Bear God) meditated. It is said to have been built around 15th century by Raja Ajaib Dev for Peer (Saint) Siddha Ghareeb Nath and the caves are at a depth of around 20-30 feet. Keeping religious beliefs aside, it is an interesting experience to walk through narrow passages occasionally stopping to admire rock cut carvings. There are a lot of commercial establishments around attracting touts who asked us to deposit our camera and mobiles. Please note that this is certainly not required. Though photography is prohibited, we were not stopped from carrying our DSLR and phones inside. It was good to see that they trust us to adhere to the rules rather than confiscating our belongings. Our second stop was a very interesting heritage complex that comprised of ruins, museum, garden- Mubarak Mandi Palace. Constructed over a span of 150 years, it was the royal palace until 1925. In it's heydays, this was an Army Headquarters and a Durbar. The palace construction is a blend of Rajasthani, European and Mughal style architecture and the intricate carvings and details on the doors and windows speaks volumes of the effort taken to match up to the royalty that it deserves/the richness (grandeur) of the Dora rulers. We were told that any good news that comes from the valley to the kingdom was delivered here. There are 5 temples built around this complex and there are three entry gates. Two of them still stand tall while the third one did not last the test of times. The palace has been a victim of fire more than 36 times and twice the victim of earthquake, so most parts of the palace are now in ruins. Majority of the complex is in absolute shambles and ruins and is a very sorry sight. Outside most of these monuments, a pluck card reads "Building unsafe, do not come near." We took a very interesting heritage walk through the narrow by lanes. We would highly recommend you to do this. Major parts of the palace are now government offices and there are thickly populated residential colonies around the complex. The best part about the complex is J&K Dogra Art Museum. It is a rich source of information and in our travel experience, one of the best kept museums in India. The museum is divided into four galleries. The extensive collection of silver and copper coinage from different eras is a treasure trove and this was the first museum where they had magnifying glasses to view the inscriptions. The collection of weapons are just breathtaking, with several different types of guns on display- a few of them that stood out were antique seven and eight barrel guns. It would have been an absolute nightmare to aim and shoot with these guns. There was an exclusive section dedicated to swords and there was a 18th century beautifully carved silver walking stick with an inbuilt sword. The 4th century carving of Terracotta human heads was so lively. There were paali and takri stone inscriptions and a 17th century gold plated bow that belonged to Shah Jahan. Among other amazing artifacts were 19th century murals from Resai fort, massive tea kettle, hookahs and centuries old sculptures. The naturally cooled marble hall was beautifully decked up with white stone, There are several precious stones in the inlay work of the marble hall. 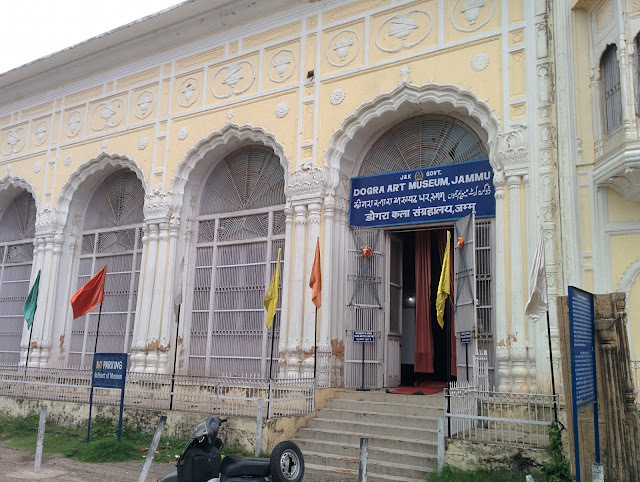 The museum also houses various Hindu Veda literature and Puranas. It was for the first time that we saw Skanda Purana on palm leaves, there were books in Devanagri script, Ramayana translated in Persian (17th century) and other old manuscripts. All of these were acquired from Jammu. The museum took us back 1600 years. It has extensive collection of Dogra jewelry. The traditional Dogra dress and Pashmina shawls were in their best shape. This museum stands testimony to the rich culture and heritage of Jammu and was inaugurated by the first President of India- Dr. Rajendra Prasad. It is open from 10am - 4pm and remains closed on Mondays and National Holidays. Another surprising thing is this is one of the museums that lets you click pictures inside, of course, with a few terms and conditions for Rs.120. Entry ticket is priced at Rs.10 for Indians. En route to Mubarak Mandi is a view point that offers brilliant views of Golghar. Amar Mahal Museum is a French style royal residence and was built in the 19th century for Dogra ruler- Raja Amar Singh by a french architect. A part of this palace is now converted to a luxury Heritage Hotel and another part is the Royal Residence, which is off limits for tourists. The museum with several portraits offers a peek into the royal family and also has Pahari paintings depicting scenes from the epic Mahabharata on display. They also have paintings on display by M F Hussain and Laxman Pai among other renowned painters. There is a golden throne weighing 120 kg on display that was once used by the royal family. The view of Jammu Tawi river from here is scintillating. The museum is open on all days except Mondays and National Holidays and is closed for lunch from 1pm-2pm. 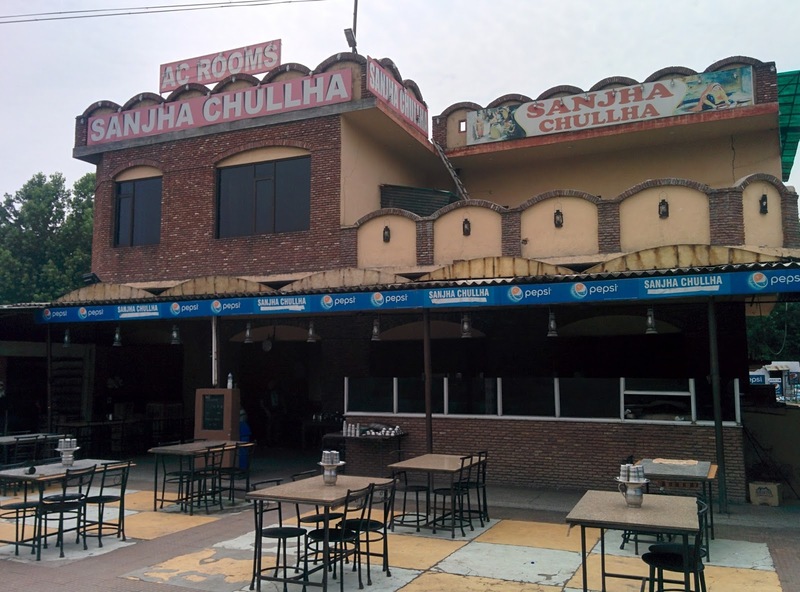 En-route from Pathankot to Jammu falls an amazing dhaba,- Sanjha Chulla, their cold kheer and tulia kulfi are their signature dishes and are totally worth it. So is their namkeen lassi which is a thicker and creamier version of butter milk. While in Jammu, Wazwan is a must try and Naz Hotel on Residency Road is one of the best places to try authentic Kashmiri food. 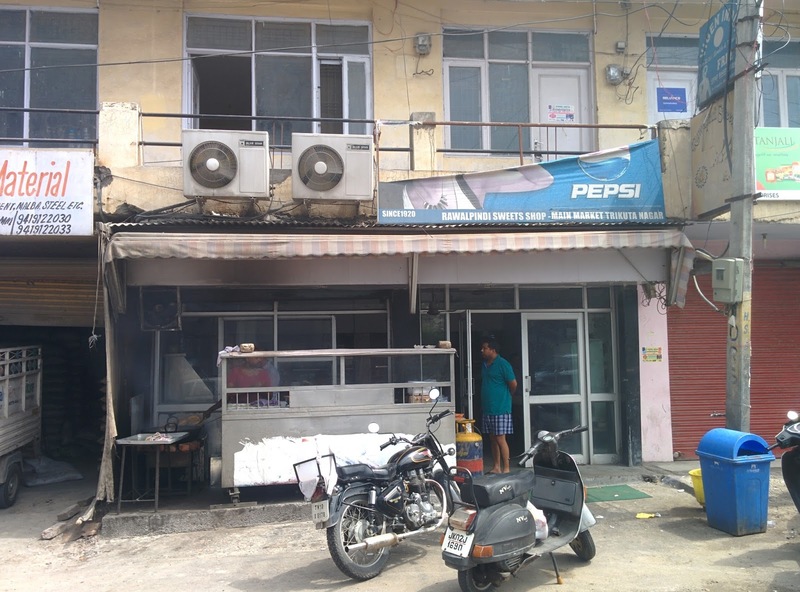 This restaurant is believed to be the oldest in Jammu. We ordered one portion of rice, half portion Rista and Mutton kebab. 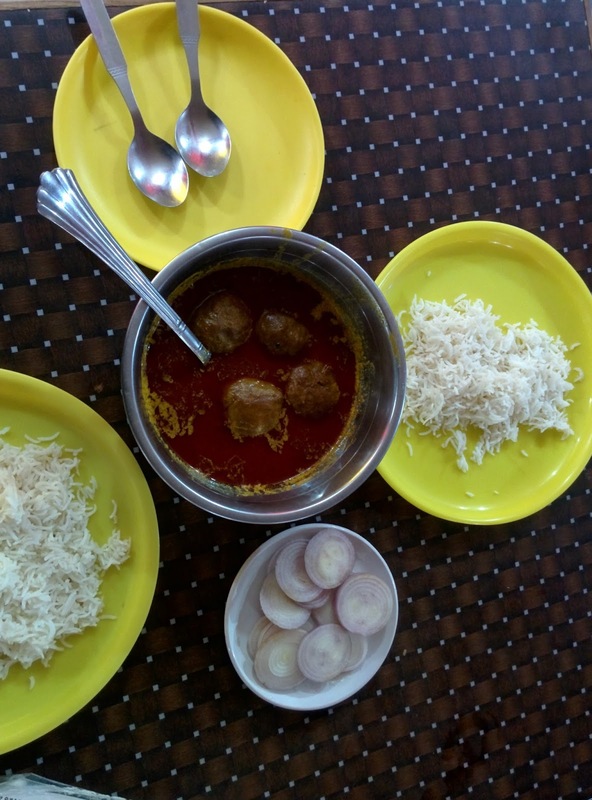 Rista, a meatball dish in gravy was rich in flavor and aroma. 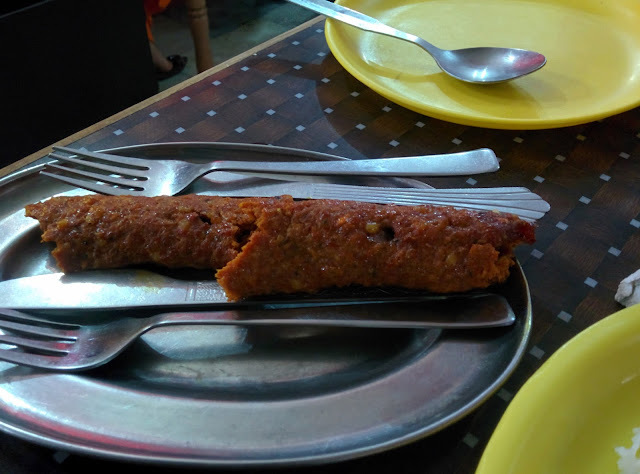 and the mutton kebabs were soft and meled in our mouth. We relished the food and surely it was a delightful experience and this place is a little paradise for meat lovers. Their service quality was pretty good and the meal costed us Rs.390. We got to taste the best of "Rawalpindi" in Jammu at Rawalpindi Sweet Shop - a perfect breakfast joint in Trikota Nagar. This age old place is a landmark in itself. It started first in Rawalpindi, then part of India and post partition the family moved to India and set up their shop in Jammu. This humble hotel serves amazing Puri and Channa. The channa is just out of the world with perfect amount of spice and rich in flavor with puris that were fried in pure desi ghee and had a touch of masala and tasted sinful. This place is also famous for it's lassi. In fact, their glass of Lassi is so huge that it looked more like a jug. The pricing was pretty reasonable, a plate of Puri and a glass of Lassi costed us only Rs.100. After hearing a lot about Pahlwan Di Hatti, we visited this place in Gandhi Nagar. To put it in a nicer way, this place was a total letdown. We tried their much hyped Pav Bhajji which was nothing more than ordinary. We tried their signature and recommended sweet "Nutties" but were disappointed, a normal candy would have tasted better. We tried their Pani Puri and the puris were not crisp. And finally, we tried their Shahi Kulfi which was very moderate. Our recommendation would be to totally skip this place. During our stay in Jammu, "Gupta Resorts" which is more of a luxury hotel was our home. Again, thanks to OYO Rooms we got a steal deal of Rs.1700 per day. Being very strict budget travelers, this hotel offered us over the top luxury and comforts. We decided to pamper ourselves in the lap of luxury after 1000 km and 16 days. Their rooms offered super soft mattress and pillows, cozy quilts, spacious bathroom with a comfortable shower cubicle. The hotel is owned and run by very friendly and humble folks who gave us a barrage of insider information of where to eat or savor our pallets and a lot of places of interest in and around Jammu that are worth exploring. Their restaurant Curry Vault serves amazing and top class food. We had ordered Kheema naan and paneer kulcha that tasted heavenly with mushroom masala. The kulcha and naan were uber soft and the super flavored, aromatic Kheema and paneer stuffing just melted in our mouth. The mushroom masala was mild, had a blast of flavors and the quantity was very generous. All of this costed us Rs. 370. The owners take special care when it comes to their restaurant and their service quality was top notch. The restaurant's class shows how passionate the owners are about their food. After having a wonderful stay at Gupta Resorts, we encountered an unpleasant experience. During breakfast, the flask in which tea was served was infested by several worms. We were taken aback by this incident and immediately brought it to the Management's notice. They accepted, apologized and replaced the tea immediately but by then we had lost our appetite. 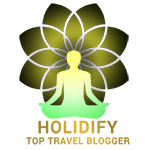 They took care to ensure that this incident never gets repeated and the owner himself was there to apologize and made sure we were comfortable with our stay. Their approach towards customer satisfaction was commendable. Thanks a ton for such kind words. Hope you have a good time there..